While writing a controversial issue essay, a gifted young writer should follow several principles which would allow for an objective interpretation of the issue. Since controversial issues provoke a lot of emotions, thus forcing their disputants to vehemently defend their own point of view, you need to be not only familiar with the issue well, but also be able to separate emotional arguments from logical ones. Regrettably, today a lot of internet bloggers prefer to put stress exclusively on their own standpoint, without trying to listen to their opponents. 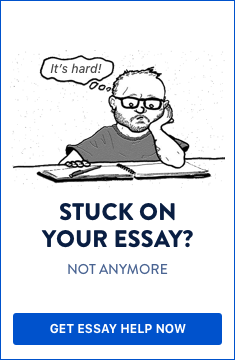 Such a tendency goes very far from the standards of writing an essay focused on a vital problem since vital problems are solved through rational means, and not emotionally. Although you have your view on the topic and you think you are right, you should respect the standpoints of the other people. As we know from Buddha, the “middle way” is the best, so you need to take into account the ideas and suggestions of the others. To be pluralistic does not mean to argue for several theses at once. It is rather to be able to take valuable pieces of advice and suggestions from someone else’s theory. Facts are what guide us through the darkness of our endless universe. Opinions and unreasonable beliefs do not work in practice. Therefore, always give credit to the facts. It is pretty clear that when one defends a position vehemently, he/she is able to dismiss important facts. This is widespread in media, for example, particularly when they are dependent on given economic or political powers. The world without problems and difficulties would be probably too boring for us. Keep in mind that the solution suggested by you cannot be perceived as the final one. People change and society changes together with them. That means that the attitude of those people will be pretty different under other circumstances. Thus, be open and know that every solution is only a provisional one. The structure of the essay dedicated to a controversial issue proves to be similar to that of other essays. You need to introduce the topic, formulate a thesis, bring arguments in its favor, and show another point of view (i.e. your opponent). However, one thing deserves more attention from you: the diversity of standpoints is essential. You need to quote a lot from the representatives of these other points of view in order to show respect for them, and also to be honest as to the development of the debate. Controversial issue essay structure: introduce the topic, formulate a thesis, bring arguments in its favor, and show another point of view (i.e. your opponent). Formulate your thesis in a concise and clear way. Avoid any terms you are not familiar with. Your controversial essay thesis should affirm your point of view and not repudiate your opponent’s view. In this sense, the thesis should be positively exposed. The arguments in its favor must be derived from proved facts, and not from emotions or feelings. You must demonstrate that your solution to the problem is the most adequate one. You should follow the ethical norms as every other journalist does it. Adhere only to facts, and not to opinions. If needed, refer to opinions, but define them as such. Be critical not only to your opponent’s mistakes and flaws, but also to your own. When you know that an argument is not strong or convincing, you should confess it to your reader. Thus, the latter will have an opportunity to assess the quality of the arguments presented in the paper. Now you know a little bit more about how to write a controversial issue essay. Try to observe the principles exhibited above and this will make your essay more convincing and objective at once. Do you need help with writing a controversial issue essay?